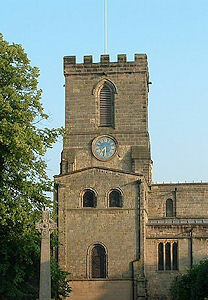 The final of the 2012 contest has taken place at Melbourne, Derbyshire, on Saturday June 23rd. Many thanks to Anthony Cotton for posting the draw and the results on the website. The teams and recordings (mp3) are now available via Complete Results. Listen again to the draw, most of the ringing, organ recital and results. The eliminators were at Aston, Kidderminster and Stourbridge on Saturday March 24th. Congratulations to Birmingham, Bristol, Cambridge, Exeter, Leeds, Oxford, St Paul’s Cathedral, SRCY and York who join Melbourne in this year’s final. The method for the test piece was Stedman Cinques. You can download the touches in a PDF file: 2012 touches.